Well, things have been going well for the Spirits of the Rice Paddy Kickstarter campaign. We just passed $50K! This is over $10K more than any other KS I've been involved with--just amazing! I continue to be shocked by how well the game is being received. We still have about 1/3 of the campaign remaining. Because of the high level of funding, we've been able to meet all our stretch goals and upgrade the components of the game, including a two-layer player board. 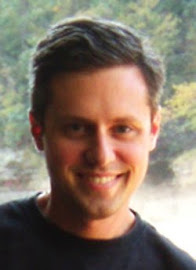 Kevin is currently figuring out how to add a few more goals such as custom tokens for weeds and pests and possibly acrylic discs for water tokens. Stay tuned to see how the campaign progresses. At a base pledge of $40, don't let this one pass you by! It's finally here! 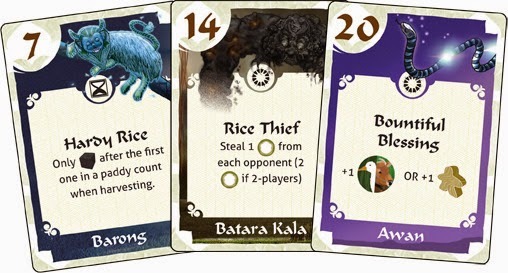 Spirits of the Rice Paddy just went live on Kickstarter! Here's your chance to build some paddies, pull some weeds, eat some pests, and harvest loads of rice. Check out or page for all the info, on visit BGG for even more. We also have an especially good endorsement from Rahdo himself. Thanks for helping us fund this exciting game. 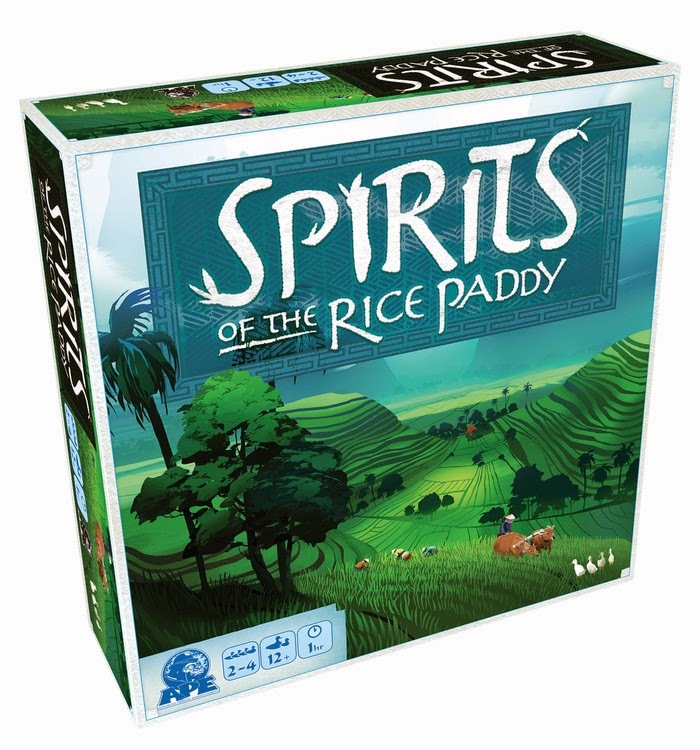 Spirits of the Rice Paddy - This game launches on Kickstater tomorrow! Eminent Domain: Battlecruisers - This customizable mini-game will be set in Tasty Minstrel's EmDo universe. It should be launching on Kickstater in another month or so. Unnamed Zombie Game - In a weird twist of fate, I'm designing a zombie-themed kid's game for a California-based publisher. More about this in the coming months. Hitler Must Die - This Game Salute title should be hitting Kickstarter later this year if all goes well. We will see how it goes. I'm also working on some expansions for AEG. I can't really go into detail about those, either. Treasure Map - Finally, I've been slogging away on a 16-24 card game about pirates fighting over a treasure map (it was originally about A Mid-Summer Night's Eve, but that just wasn't clicking). It's been a long and difficult process, but I've learned quite a bit as well. Once I get it over the next hump I'll be asking for help from more playtesters. In other news, we've been playing quite a bit of Splendor (a Christmas gift). The Interwebs have recently been on fire with this topic as people struggled to discover what all the fuss is about. All I know is that my dad and brother each immediately bought a copy of the game after playing it with me a few times. Clearly, the Space Cowboy folks know a little something about how to make a fun, accessible game.